And it's the way to get the right tool for the job. The biggest 4 saw use on a timber frame project a few years ago and since then just occasional use. 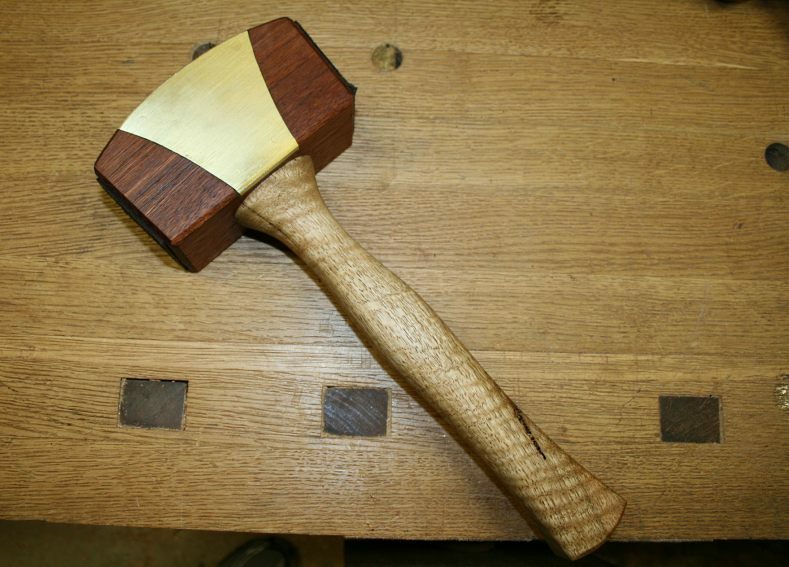 The smaller Purpleheart and Oak mallet is used every day for joinery. The surface is starting to spall so I may repair it or make a new one soon. The little one (Gumby) also gets used most days. It's great for delicate joinery. It was just a scrap of Maple that needed just a bit of rounding and sanding. 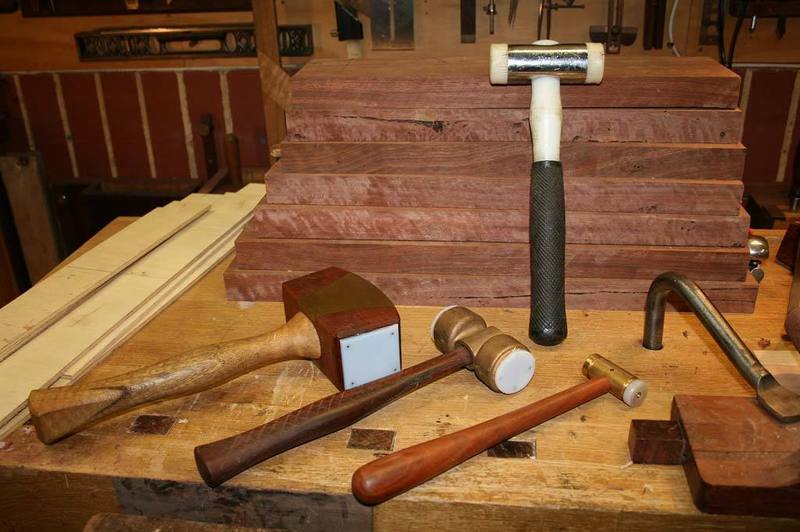 Can you say something about the design of your mallets? The shape and weight and size of the head? The length and shaping if the handle? How the two are attached? Tom, That's a nice bunch of bonkers. The one on the left is my user. The other one was made to sell at the farmers market. A few folks seem to like them. Nice mallets! I see a small shop made mallet in my future! 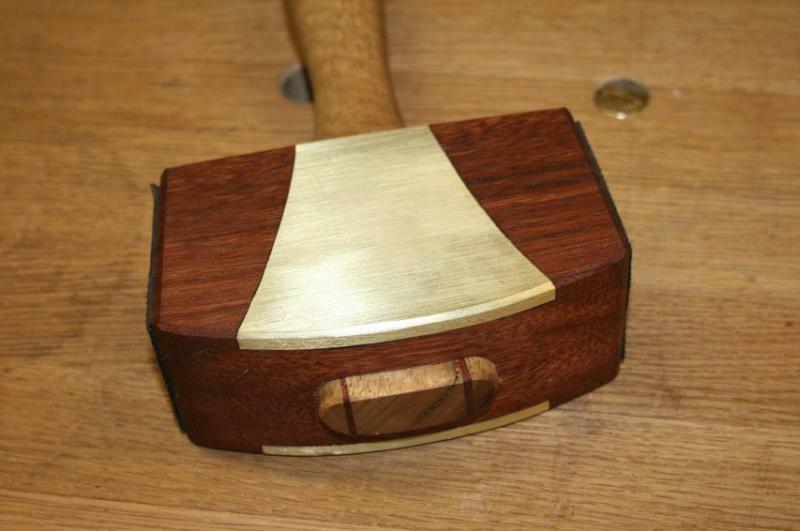 Most recent mallet, this one for my son. My user is similar only beat a little. I just finished this one, live oak and walnut. I just tap most of the time. I like UHMW for the heads. It does not marr or damage but also does not cushion the blow. Is the UHMW glued at all? or just tacked or screwed in place? I would like to add some to one of my mallets. I like the handle design better than my own. I need to add in the mid length palm swell section and see what that feels like. David, the UHMW is first epoxied, then nailed. You can see the nails if you look carefully. The heads are buried below the surface. This combination has been successful over the past couple of years. I used leather of mallet heads in the past, however it would distort and eventually peel away. Thanks. I have some Delrin or UHMW or whatever it is called and may try some. Sorry for my delay in getting back about design. The handles are just glued into the heads, some with multi piece heads. They all hold up ok. The big one with the wire wrapping is not used much. Too big mostly, but occasionally useful. I wrapped it in wire to add weight and to prevent splitting. Was going to wrap the other face but it got heavy and I let it go. The midsize Purpleheart and Oak has a very good handle and balance. I don't hit with any particular side, it works fine on the face or flat or the corner. Should put a small flat on it so my hand can control it. I never look at the mallet. I corrected this with the Maple and Walnut one. The round head doesn't care which face I use. It is pieced together in 3 rings with end grain out on all sides. It has some cracks. I need to explore this design some more. The pointy headed cudgel was just fun for timber framing with friends. The little one piece Maple Gumby is probably the most successful design, and it only takes minutes to make.